Polished concrete floors are the rage nowadays and are widely used for industrial, commercial, and residential spaces. With an increase in demand for such flooring, more and more contractors are allegedly offering high polished concrete flooring solutions at pocket-friendly prices. This growth in popularity is due to the manifold benefits such floors offer. 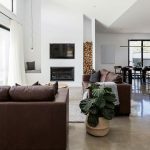 Here are 10 reasons that highlight why polished concrete floors are the best option available today. Apart from being recommended by professionals, who are knowledgeable about flooring systems as well as the environments they work best in, polished concrete flooring is ideal for industrial, residential, and commercial spaces, and are better than ceramic tile or hardwood. Polished concrete floors are more durable and sustainable than flooring options like concrete tile, vinyl, or linoleum and typically last up to 10 years with minimum maintenance or breakage by an impact. Installation and maintenance of polished concrete floors do not require hazardous chemicals. It prevents accumulation of allergens, mildew, or mold on its surface. They improve indoor air and are energy efficient too as heat accumulated from sunshine can reduce energy consumption resulting in deflated power bills. Polished concrete flooring is cheaper than hardwood, laminate, or vinyl flooring. Its cost per square meter depends on the type and finishes the customer wishes. 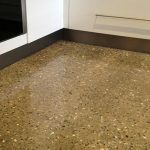 The costs are minimal if the property already contains slab concrete and only requires polishing. 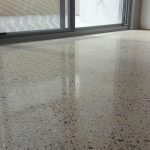 Polished concrete floors are unarguably the best flooring option if you want to provide a pleasant and visual appearance to your property’s interior. Apart from reflecting light in an extremely appealing manner, the high gloss look of the flooring provides flair and sophistication to your building. 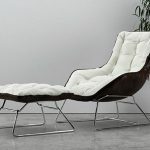 It is nowadays the numero uno choice for high-class residences, theaters, hotels, and museums. Easy to maintain, polished concrete floorings only require sweeping, and occasional damp mopping to prevent accumulation of dirt on their surface and maintain their high gloss. You need not worry about re-polishing the surface frequently if the floors are professionally installed and polished. These floors look great for 10 years or more with minimum care. Polished concrete floors are renowned for their anti-stain and anti-scratch properties. This is the reason it is great for residential and commercial floorings. Even owners of warehouses and other facilities nowadays prefer this flooring option above others. The smooth and shiny surface of polished concrete floors enhance ambient lighting by reflecting the light; thereby, providing 30% more illumination to the room. You can make use the concrete floors immediately after installation, as no chemicals are used in its fixing process. This is vital in places like supermarkets, production plants, and hospitals where blocking an area for several days can prove costly. As the surface of polished concrete floors have a high gloss and are stain and scratch proof, they do not require waxing or stripping off their surface. This saves you from maintenance costs. Where to find professional polished concrete flooring solutions? 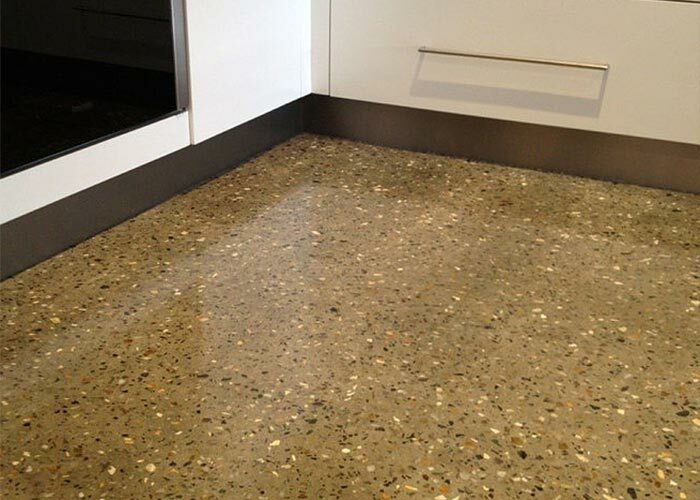 If you want to know more about the best professional polished concrete flooring in your locality, look no further than Polished Off… unarguably the most reputable and popular providers of such services in Australia.